From one of the fellow Canadian organizations in the Bay area. Once a year, C100 honours a Canadian entrepreneur for playing a historic role in technology and innovation and for demonstrating a commitment to giving back to the startup ecosystem. This year, we presented the Icon of Canadian Entrepreneurship (ICE) award to Stewart Butterfield, Co-founder and CEO of Slack. 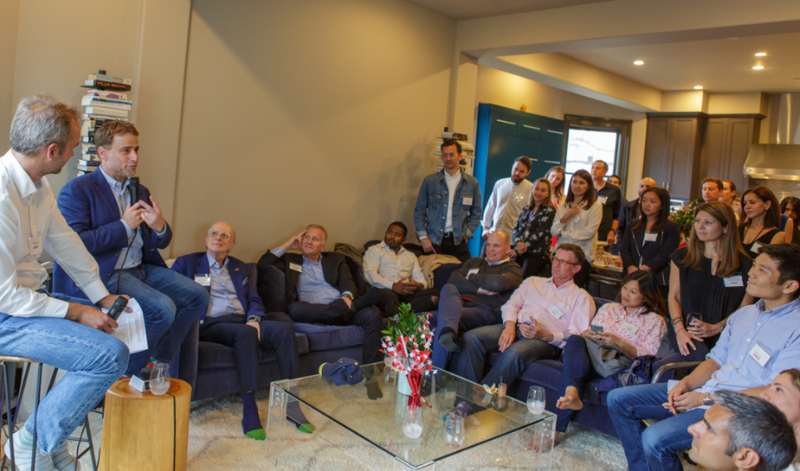 C100 Charter Members gathered for an intimate fireside chat with Stewart, moderated by Charter Member Boris Wertz, and enjoyed an evening reception. Past recipients include Tobi Lütke, Founder and CEO of Shopify (2017), Doug Bergeron, Founder & CEO of DGB Investments (2016), Don Listwin, President & CEO of iSchemaView (2015), Patrick Pichette, General Partner at iNovia Capital (2014), and Rob Burgess, Board Member at Adobe Systems (2013). Space is limited for this event, so if you’d like to attend, please send us an email with why you’re interested in getting involved as well as any relevant skills you think we should know about! We’ll review all submissions and notify selected participants one week prior to the event with more details. CiT is an evening event hosted every month to celebrate all things Canadian and all things tech. Whether you live in the Bay Area or you’re just visiting, we welcome you to join us September 13th, for some drinks and good conversation—you’ll be in good company! This is a ticketed event, so please RSVP below if you wish to attend. An AI talk on slaying the beasts of scalability and explainability. On the evening of September 4th, Waterloo Professor Alexander Wong will examine the operational challenges associated with scalability and explainability in deep learning as they relate to real, operational scenarios during a private talk. Professor Wong is the chief scientist at DarwinAI, Canada Research Chair in Artificial Intelligence and Medical Imaging, as well as a founding member of the Waterloo Artificial Intelligence Institute. The C100 has only 10 seats reserved for this event, so registration is first-come, first-serve. You can register by emailing info@darwinai.ca. Elevate is Canada’s largest tech and innovation festival and it’s kicking of with a Hackathon! The Elevate Hackathon is a great opportunity to showcase your talents while helping to reimagine Toronto to improve quality of life for all. If you’re a developer interested in a chance to earn $18,000 in prizing and obtain exclusive experiences, apply here. Elevate has kindly offered the C100 community 20% off all passes for the festival running from September 21-27. You can apply the following code upon checkout. 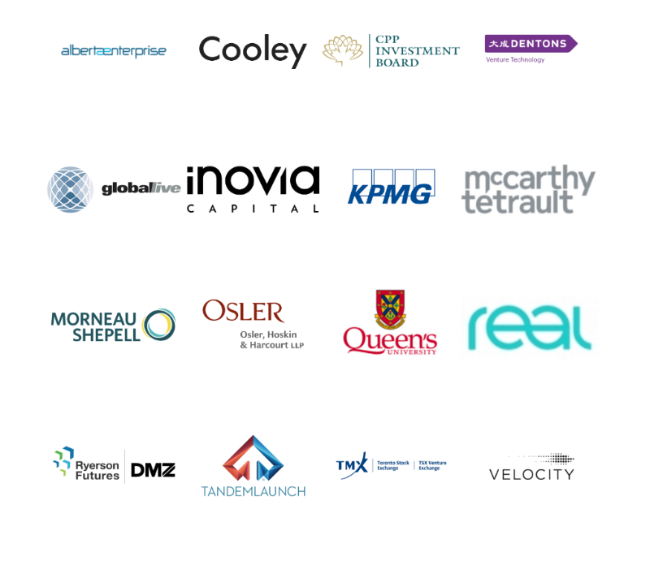 RBC Reach is an accelerator program to help high-impact startups grow their company and a commercial relationship with RBC while adding value to RBC’s business and consumer clients in new and innovative ways. Founders get access to a potential commercial relationship with RBC, investment, and growth programming as well as resources. This entry was posted in C100 and tagged C100 on August 24, 2018 by Michael K. Barbour.